Also a News Filter function is integrated. The EA working with real TP & SL not virtual. dynamic – on reached Take Profit, this gives you the change to follow Trends and extend your Profits, take profit is set to current rate + dynamic tp points, also dynamic stoploss. Fabulous, so small and he does all the work. Being so useful I can not believe it is free for all pairs. Thank you very much Christian. 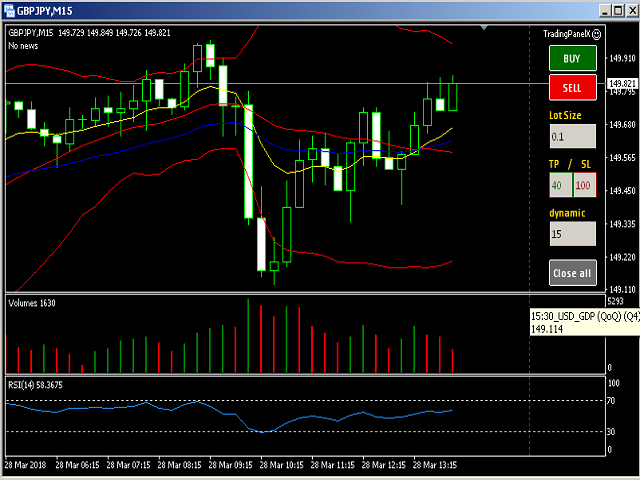 I would also like to have the yellow line for the opening price, red for SL line and green for TP line. It seems to me that neither the advanced version has this option. But before I manage to get through the "blow up demo account" level, maybe it will be added. Great Job Chris. Thanks giving this for free without limitation for the pairs or TF.